As I was sitting here brainstorming a fun topic for my bookish post today, I was hoping to write a post that would combine my two passions: reading and graphic design. I started googling a bunch of stuff and came across some posters that different companies and organizations designed for their campaigns orchestrated to get people to read! Some of them are very clever, and I just had to share! This first group is from a public awareness campaign for reading in South America, designed by the advertising agency, MAYO DRAFT FCB in Quito, Ecuador. 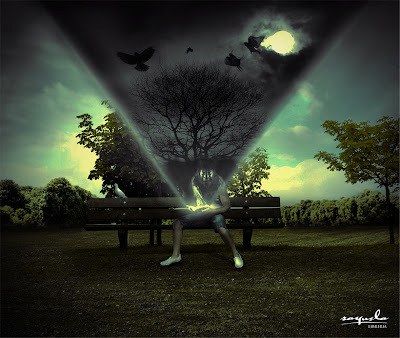 Both images are extremely creative, but the first one is my favorite. I love the picture of the little boy, and that he's imagining himself as a king in a castle. Who wouldn't want to be in his shoes right now? This next set relates to children, and to the child in all of us. Heroes read too! 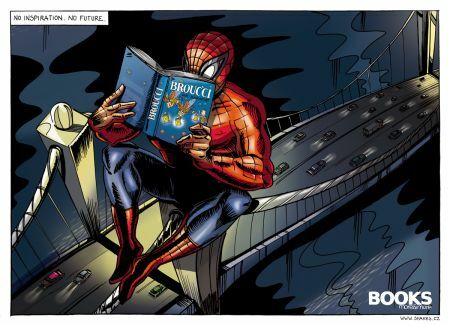 This campaign was put together by Publicis, Prague, and launched by BOOKS to promote its brand image and encourage people to read books in the Czech Republic. The text reads, "No Inspiration, No Future." on both images. Here's an interesting ad campaign against illiteracy! I love this. "The world is a dangerous place for the illiterate." 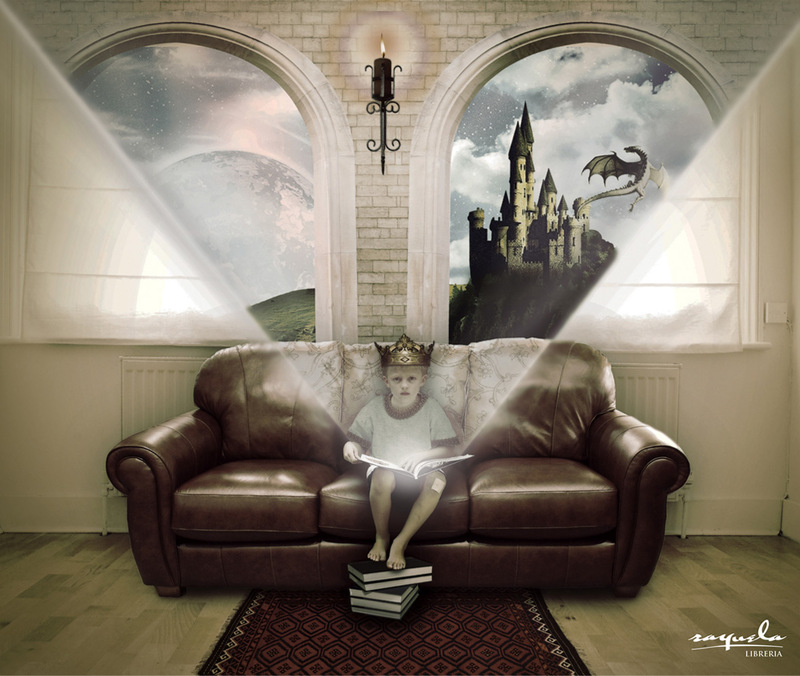 This set was done by the Dm9ddb Publicidade advertising agency for an anti-illiteracy Campaign in Brazil. It was released in 1998. 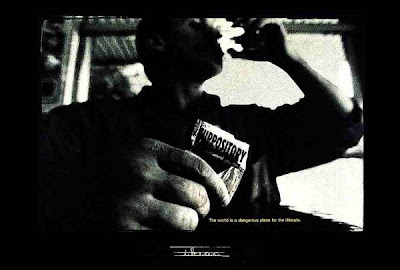 The first image shows a man ingesting suppositories by mouth. Eeeew! 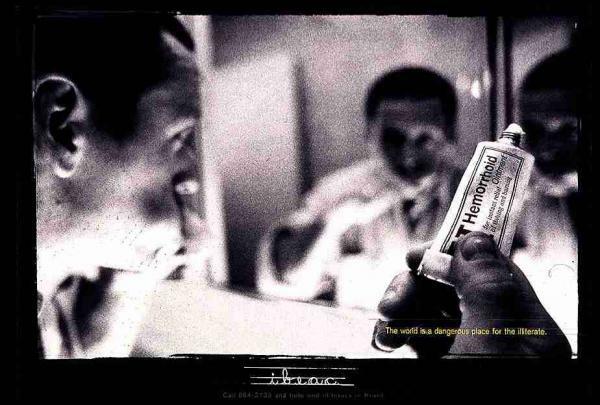 The second one shows a man brushing his teeth with Hemorrhoid ointment. Gross! How effective is this strategy, though? I think it does an amazing job at hitting home the importance of reading. 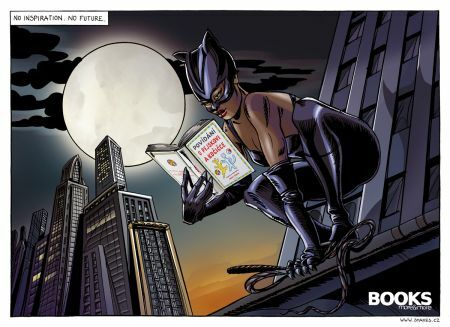 This last campaign, done by the Literacy Foundation on the eve of their 10th anniversary, is my favorite! The slogan reads, "When a a child doesn't read, imagination disappears." How true is that? With the growing epidemic of video games and movies replacing good old-fashioned reading, where are people going to develop their imaginations? We all need a little brain food in our lives to keep us young and intelligent! 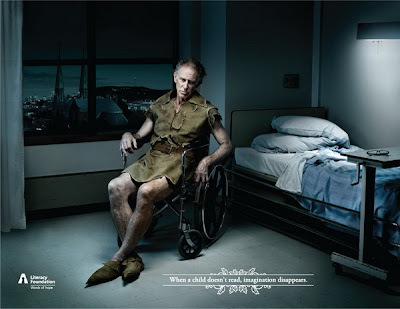 Here we have a very old and sick Peter Pan. Don't let him disappear! And let's not forget Cinderella! I'm sure she'd enjoy sticking around for a while. Discussion: One of the campaigns I stumbled across had a grammar error, so I would not post the image. The slogan was, "If reading were be forbidden, would you be tempted to try ?" I'm assuming they meant "if reading were to be forbidden...", but anyway... Their imagery went off of Adam and Eve and the forbidden fruit. I loved the concept, but I just can't post bad grammar, especially if it's regarding illiteracy! My question is, though, would you? If you were born into a world where reading was against the law, are you the kind of person who would break that law to see what the big deal was, or would you remain a good, law-abiding citizen? I'll think on this also, and report back later with my thoughts! I'm curious to read your responses! UPDATE - 4/29/11: A commenter asked for the original image of the "forbidden" campaign, so here is a link to one of the images: "Forbidden" . I can't find the Adam and Eve one that I mentioned, but you can at least see this one. I really like these adds. What a great idea for a post. I don't know what I'd do if reading was against the law. If I didn't know what it was and how wonderful it is would I break the law to see? I just don't know. Good question. Great question and I love these adverts. Hmmm...now to the question, if reading was against the law I think I'd try to abide but secretly have a book or two stashed away somewhere. Or have copied out sections from favourite books. I'd be out of a job (I'm an English/English Literature teacher) so I need to be finding something to fill my time! I would definitely be one of those law breakers. If people are so adamantly against something, I have to know why! I also want to come to the defense of video games. Have you ever played a 100 hour RPG? There is so much creativity and raw, organic story-telling put into games now. There are games where every choice you make has a consequence-these kinds of games feed critical thought, just like reading. Love the images - especially the very first one! I'm not much of a rebel so if I grew up in a world where reading was outlawed I don't know that I would have the daring to seek out illegal books, although if I were introduced to them by someone else in such a society, I am sure I would discover the underground ways to pursue literacy. I think I'm with you, Lisa. If I did not know how awesome reading was, I'm not sure I'd break the law to find out. I'm a major chicken! On the other hand, Bekka's point rings true in my mind. I always love to know what all the fuss is about. I'm curious, but cautious. Ooo... tough question. Great graphics! I especially love the first and last two. Thanks for sharing. I mentioned it on Twitter as well, but these are so cool! 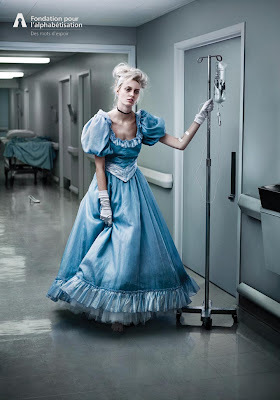 I might re-post the Cinderella one for Fairy Tale Fortnight! Fantastic and creative ads. I also like the kid with the crown. Video games have many benefits (puzzle solving, hands eye coordination, reading etc.) but like anything, taking into extremes is not good. Where is bad grammar in "If reading were to be forbidden, would you be tempted to try" ? Could you post the original? Oh, it said... "If reading were be forbidden." I kept looking for it and I found it in many places and no one seems to have noticed/mentioned it! How bizarre! And in a literacy campaign of all. I read that it was prepared by an agency in Romania but still, that's no excuse. These are awesome. Thanks for sharing these and for a great discussion.